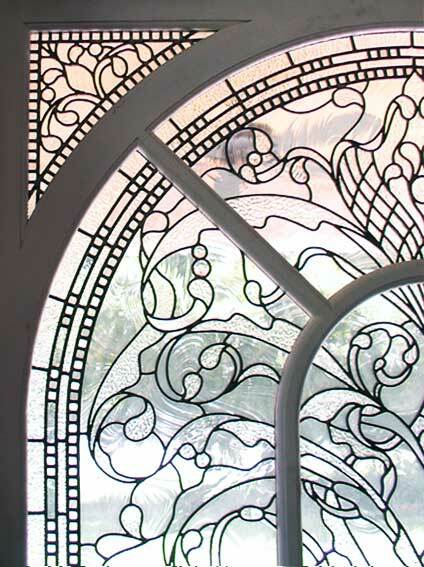 "KEECHP2" LARGE CUSTOM VICTORIAN STYLE CLEAR TEXTURED GLASS WINDOW CREATED BY JACK McCOY©. 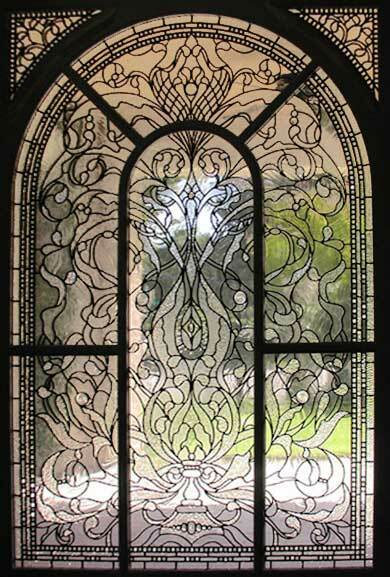 Victorian style leaded glass window was fabricated for a landmarked private residence in Fort Worth, Texas. 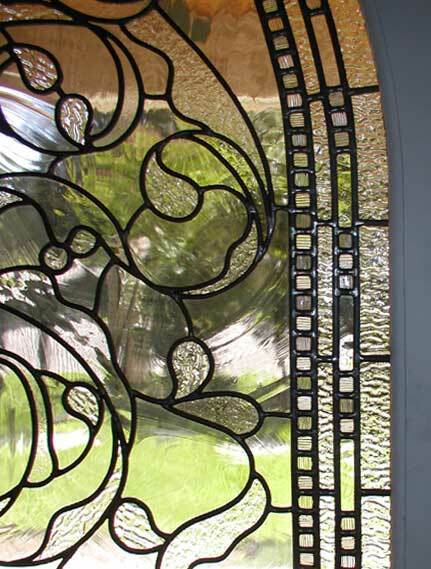 This leaded glass window was approximately 6 ft. x 8 ft. This was all clear textured glass with no color. The camera sees everything through the clear textured glasses. Wood frame by Alan Davis. Click picture or scroll down for closeups.